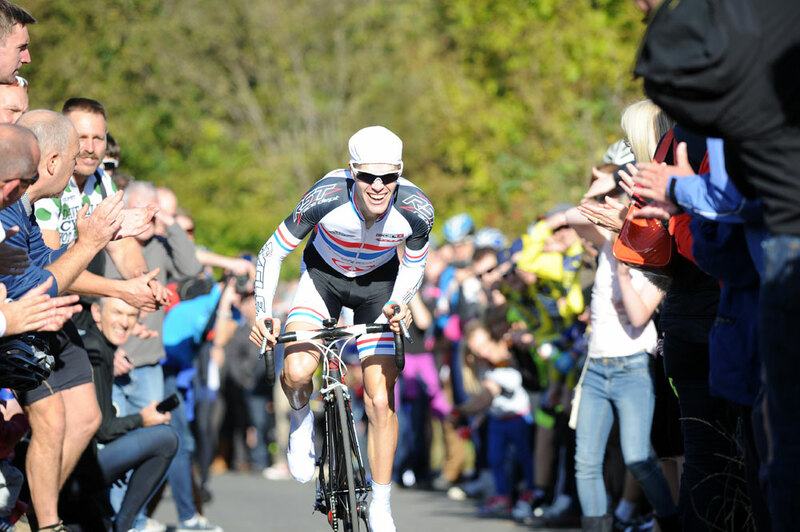 Cycling Weekly took the opportunity at Sunday’s Monsal hill-climb to look at Gunnar Gronlund’s ultra lightweight Trigon hill-climb bike. 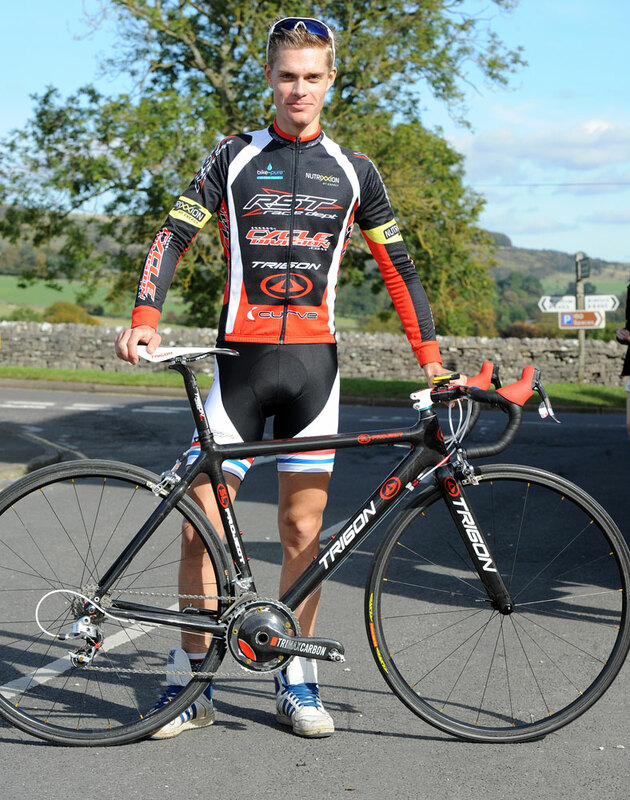 The current National Hill-Climb Champion’s bike tips the scales at a fraction over 6kg as seen here. 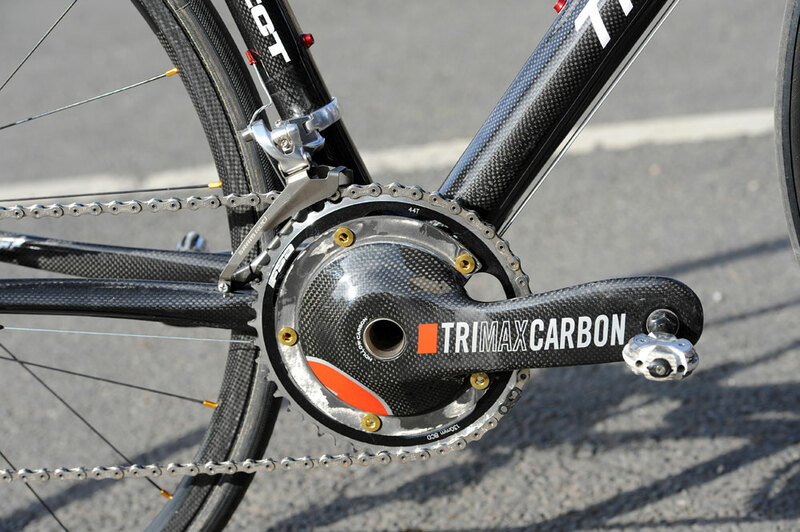 The heart of the bike is a Trigon SL Project carbon frame in a small (49cm) with carbon fork. The frame weighs in at 836g. 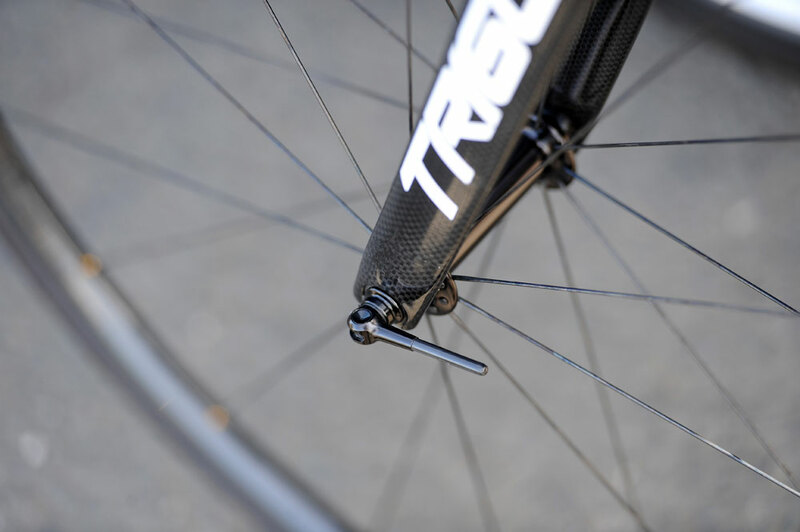 Gronlund uses Trigon integrated bars with SRAM Red levers. 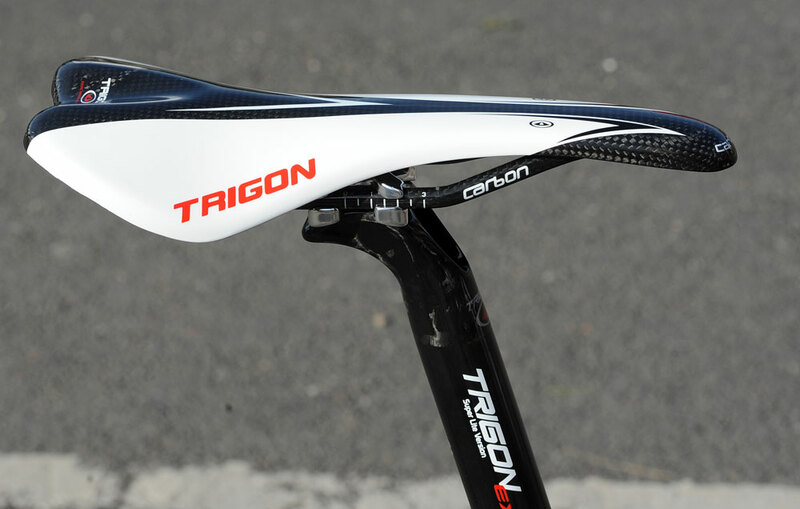 The integrated bar equates to having a 90mm stem with a bar width of 42cm. 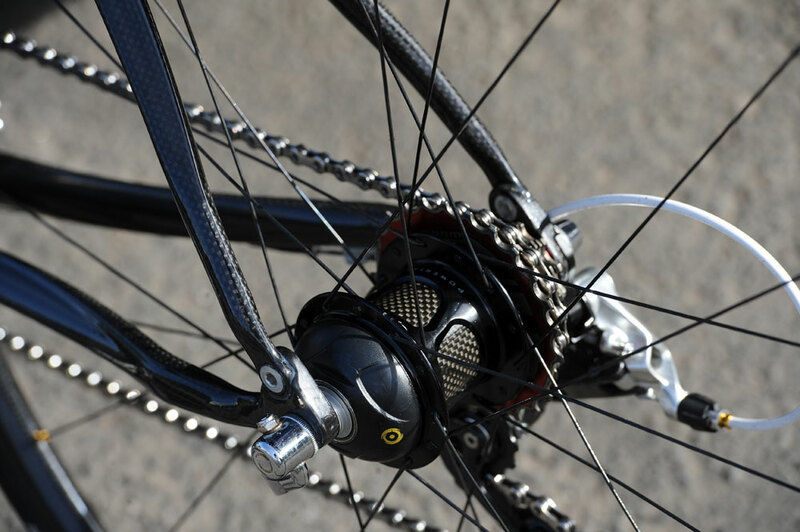 Wheels are special Cero custom prototype carbon ‘hoops’ for tubs and weigh 1183g for the pair as seen. 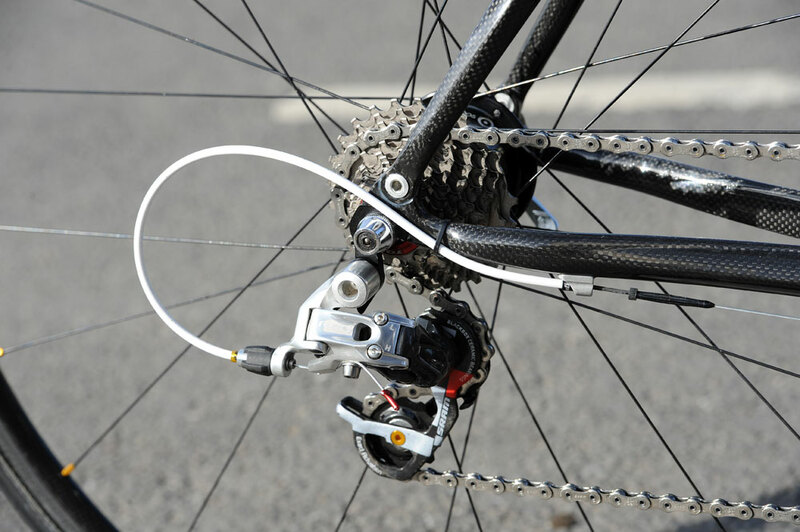 Here’s the lowdown on the wheels as built by Rob Dixon at Gronlund’s local bike shop.